Getting attention online is an artform! Be a social butterfly! Social media has fast become more about pictures and less about words! Mike’s Social Butterfly approach gets your online communication down to an art, while connecting your project to digital partners for development. Radio Lollipop for Children in Hospital worked with Run Mouse Run to create this hyper-colour online campaign! 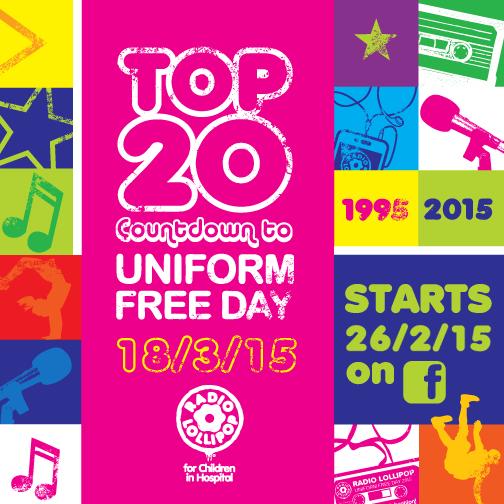 A 20-day countdown to the organization biggest fundraising event, Uniform Free Day, was married with the reveal of Radio Lollipop’s TOP 20 songs as voted by the children in hospital. The artwork was posted with scripted reminders of the approaching event and how the public can be involved. Visit the Top 20 Campaign showcase to see more of this campaign. Before the opening of the Funky Fryz Restaurant, Run Mouse Run revealed these colourful sayings in an ‘Opening Soon’ campaign to peak online interest and showcase its unique retro brand without revealing the store. 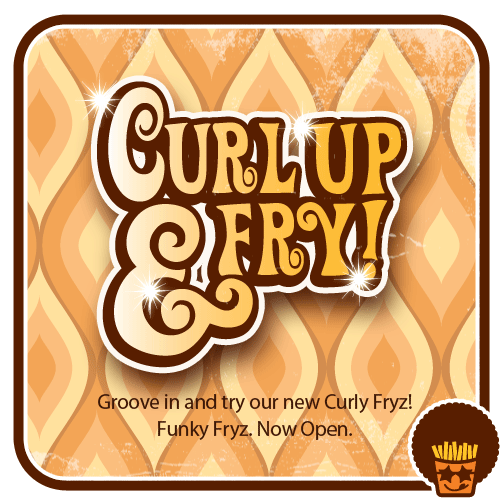 Visit the Funky Fryz showcase to see more of this campaign.